Wrong. Wrong. Wrong. There is no need for bleach or chlorine in a Koi pond that is built correctly. And by built correctly we mean, an ecosystem pond. Besides, throwing chemicals like that in your pond will likely kill your fish. Not only kill your fish, but also kill the good bacteria in your pond. Below is what a koi pond needs to operate as a self contained ecosystem that has no need for chemicals like chlorine or bleach. Filtration - A biological filter, which provides an area for beneficial bacteria to colonize while removing excess nutrients from the water, is one of two types of necessary filtration for a koi pond. The second is a mechanical filter, like a skimmer. The skimmer will filter the water and also house the pump, it will also skim debris from the water's surface to prevent organic material from accumulating. 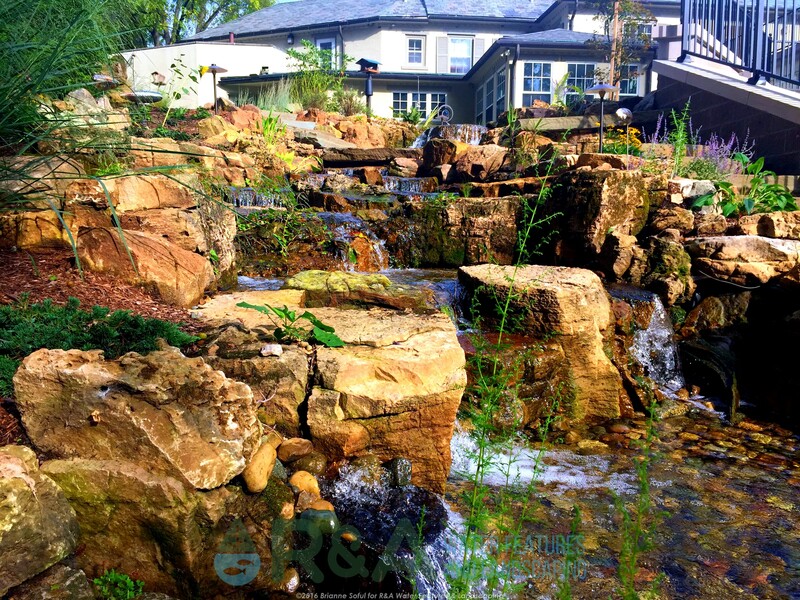 Rocks & Gravel - Rocks and gravel provide a large area for beneficial bacteria to colonize & break down excess nutrients. 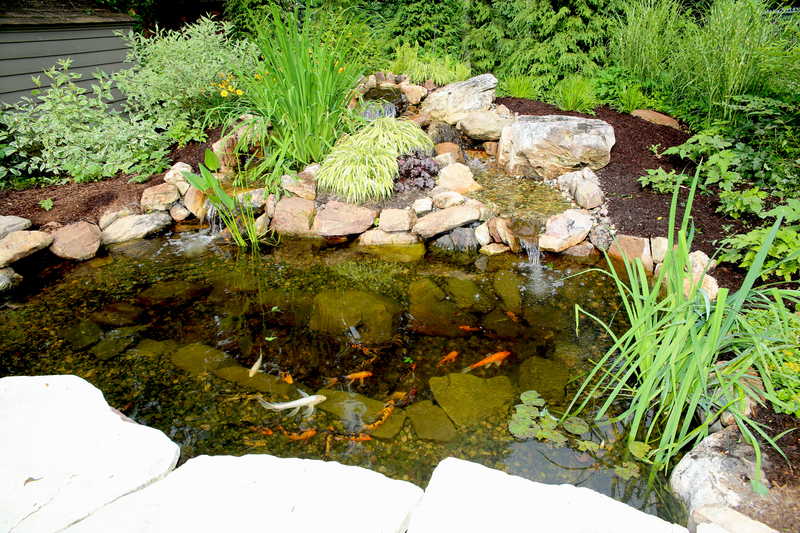 And...the rocks and gravel added to your pond will protect your liner from UV rays. Pump - A system to recirculate water will keep the water moving and provide the necessary oxygen to keep fish and plants healthy. There are many types of pumps, so make sure you have the right size for your pond! Fish - Possibly the most exciting part of having a koi pond! Fish are one of the most important parts when it comes to an ecosystem pond, because they feed off of the algae. Pond fish are fun to watch and a big benefit to your pond. 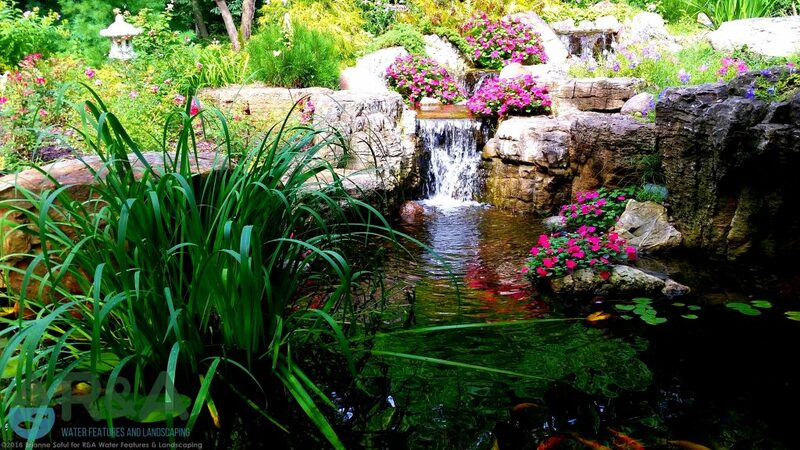 Aquatic Plants - Plants add beautiful color and texture to your pond...but they also are nature's true filters. 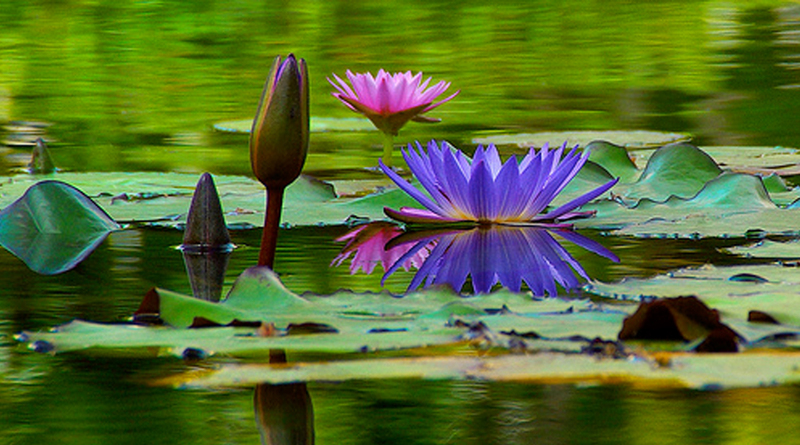 Aquatic plants thrive on excess nutrients and deprive algae of its food source. Starting to make sense? Take away one element and the other elements are affected. But when you have all the right elements for an ecosystem pond, they all work together, creating a lower maintenance pond that has no need for chemicals. Be sure to follow us on Pinterest and Facebook for new ideas and inspiration. You can also check out our Houzz page, featuring recent projects and client reviews. Contact us today to get started on your next outdoor living project!